Inside the Beltline! Amazing location in Downtown Raleigh’s Belvidere Park. Hard to find 3 Bedroom 2 FULL Baths with Garage and off-street parking! Master Bedroom w/Walk-In-Closet. Kitchen updated w/Granite Counters & S/S appliances. Rear deck overlooking fenced backyard plus separate front porch. NEW roof and HVAC replaced just 2 years ago. Wonderful location within walking distance to Lyon’s Park and Conn Elementary. Minutes to downtown restaurants/shopping AND minutes from 440 for fast commuting. Directions: From Peace Street turn left onto Person St, Right On Glascock, Left onto N. State, N. State becomes Plainview Avenue. House on left. Please, send me more information on this property: MLS# 2232475 – $325,000 – 108 Plainview Avenue, Raleigh, NC 27604. 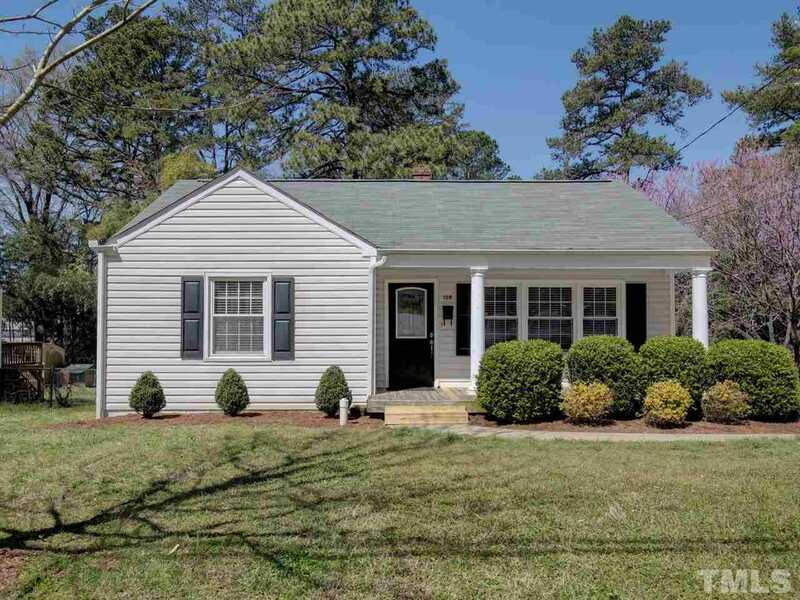 I would like to schedule a showing appointment for this property: MLS# 2232475 – $325,000 – 108 Plainview Avenue, Raleigh, NC 27604.